#7 DUKE 87, Colorado State (Rams, 21,953 students, Fort Collins, CO) 64 – Freshman Austin Rivers scored 17 points and Andre Dawkins added 15 first-half points for the Blue Devils (8-1), who were playing their first game since last week's lopsided loss at Ohio State. Duke had no trouble knocking down shots and finished the game shooting 56 percent, with Dawkins and Mason Plumlee helping the Blue Devils build a 17-point halftime margin. Greg Smith scored 18 points to lead the Rams (5-4), who had stretches of offensive success to keep the game from getting completely out of hand. GEORGIA TECH 68, Georgia (Bulldogs, 34,855 students, Athens, GA) 56 – Jason Morris had 15 points, all in the second half, as Georgia Tech (5-4) beat the Bulldogs (4-5) after trailing by seven points in the first half. Kammeon Holsey, Brandon Reed and Glen Rice each had 12 points for the Yellow Jackets, who ended their 13-game losing streak in Athens. First-year coach Brian Gregory led Georgia Tech to its first win at Georgia since Nov. 26, 1976. VIRGINIA TECH 78, Rhode Island (Rams, 14,546 students, Kingston, RI) 67 -- Erick Green, who did not start due to a coach's decision, came off the bench to score 24 points to lead the Hokies (6-3). Virginia Tech had four players in double figures, including 15 points by Eddie and a career-high 12 points by Cadarian Raines. Dorian Finney-Smith added 11 points for the Hokies. Nikola Malesevic scored 23 points to lead the Rams (1-8). Tech shot 54.5 percent from the field for the game, including 65.4 percent in the second half. 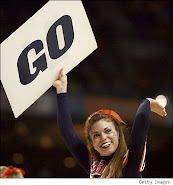 The Hokies made 11 of their 13 free throw attempts and were good on seven of 16 three-point attempts. WAKE FOREST 87, High Point (Panthers, 4,200 students, High Point, NC) 83 – Wake Forest overcame a raucous home crowd and an explosive performance by High Point's Nick Barbour to escape with a road win at the Millis Center. The Deacs (6-3) were paced by a career-high 20 points by sophomore guard Tony Chennault, who also tied his career-best with six assists. He was matched by junior C.J Harris' 20-points on a crisp 7-for-8 shooting night, including 4-of-5 from beyond the arc. Travis McKie also added 18 points, while redshirt senior Nikita Mescheriakov pitched in with 12 more. Barbour had a season-high 35 points and seven of the Panthers' 15 3-pointers. High Point is 2-6. MARYLAND 77, Mount St. Mary's (Mountaineers, 2,100 students, Emmitsburg, MD) 74 – It wouldn’t have been the end of the world if the 1-7 Mountaineers had upset the inconsistent Terps, but with football players lining up outside Randy Edsall’s office seeking transfers, Terp Nation would have been way out of sorts had Mark Turgeon’s squad ended up on the wrong end of this one. 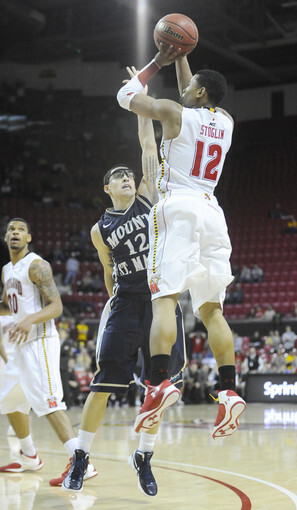 That said, Terrell Stoglin scored 23 points, James Padgett had 15 and Maryland blew a 16-point lead before rebounding to beat in-state foe Mount St. Mary's. The Terrapins (5-3) trailed 70-69 with 2:53 remaining against a team that lost to Marquette by 54 points and to Minnesota by 29. 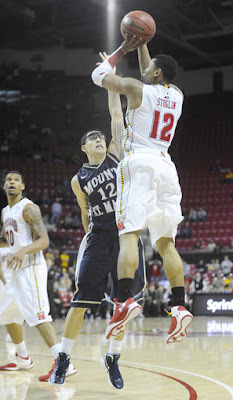 Stoglin put Maryland up with a jumper, and Mychal Parker and Sean Mosley made clutch free throws. The Mountaineers are 1-21 against ACC teams, including 0-7 against the Terps.